You could use these Irish bands to help you find your bottle of water or soda, but our experts agree that they are the handiest when used with beer bottles. You may still lose your beer bottle, but at least now you will be able to identify it. 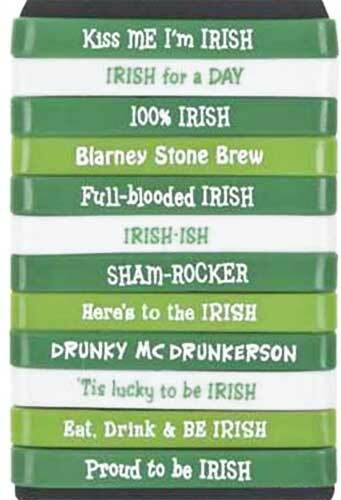 These 3/8" tall Irish beer bottle bands, from The Irish Gift House, are made of silicone and are a fun Irish party favor and they are also great for St. Patrick's Day.